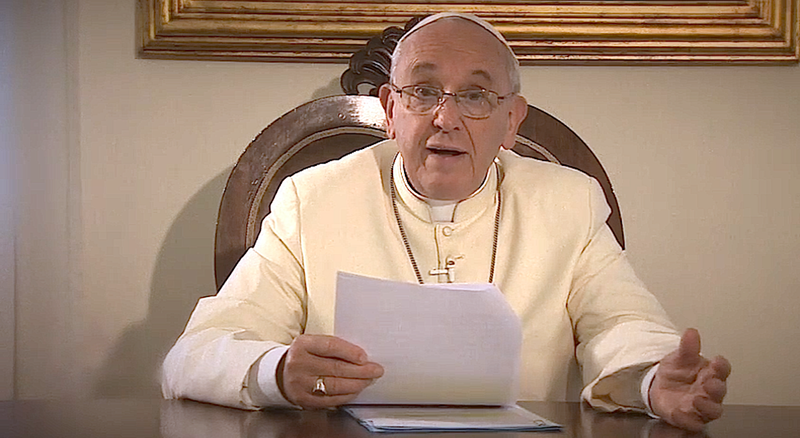 Below is a ZENIT translation of Pope Francis’ video-message sent to recall the 35th Anniversary of the founding of the Astalli Center for Refugees, which constitutes the main activity in Italy of the Jesuits International Refugee Service (JRS). Dearest refugees, dear volunteers, workers and friends of the Astalli Center, observed in this Year of Mercy, are the 35 years of the Jesuits’ Refugee Service in Italy, an activity that was first of all a walking together, as one people. And this is good and just! It must be continued with courage: “I was a stranger and you welcomed me” (cf. Matthew 25:35). I was a stranger … Each one of you refugees, who knock on our doors, has the face of God, is flesh of Christ. Your experience of grief and hope reminds us that we are all strangers and pilgrims on this earth, received by someone with generosity and without any merit. He who like you has fled from his land because of oppression, of war, of a nature disfigured by pollution and desertification or by the unjust distribution of the planet’s resources, is a brother with whom to share bread, home and life. Too often we have not received you! Forgive the closure and indifference of our societies, which fear the change of life and of mentality that your presence requires. Treated as a weight, a problem, a cost, you are, instead, a gift. You are the testimony of how our clement and merciful God is able to transform the evil and injustice of which you suffer in a good for all. Because each one of you can be a bridge that unites distant peoples, which makes possible an encounter between different cultures and religions, a way to discover our common humanity. …and you welcomed me. I was a stranger and you welcomed me. Yes, the Astalli Center is a concrete and daily example of this welcome, born of the prophetic vision of Father Pedro Arrupe. It was his swansong in a center of refugees in Asia. Thanks to all of you, women and men, laity and Religious, workers and volunteers, because you show in events that if we walk together the way is less fearful. I encourage you to continue. Thirty-five years are only the beginning of an endeavour that is ever more necessary, the only way for a reconciled coexistence. Be always witnesses of the beauty of an encounter. Help our society to hear the voice of refugees. Continue to walk with courage by their side, accompany them and let yourselves also be led by them: the refugees know the ways that lead to peace because they know the acrid odour of war.